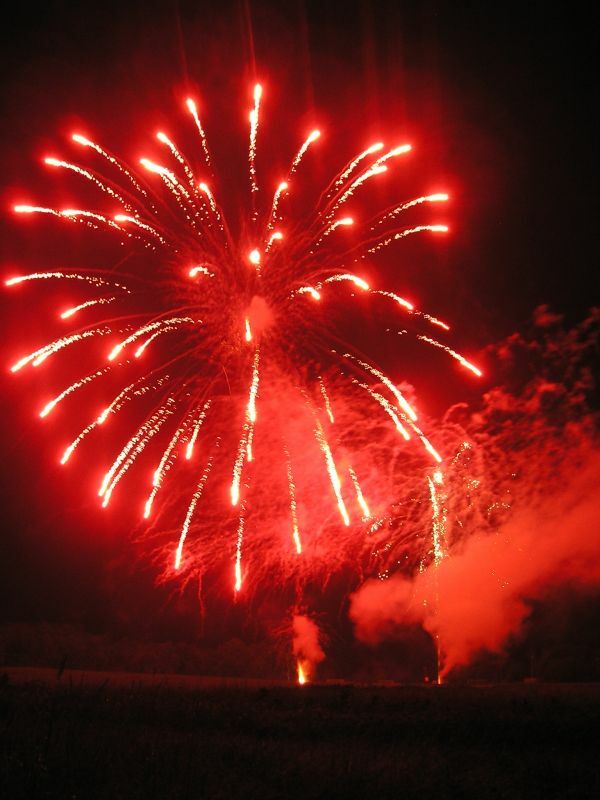 July 1st brings celebrations to every small town and major city in Canada and Knowlton was no exception. 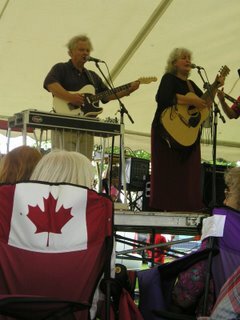 The Lions Park beside the Brome Ducks Farm is where most of the events take place but as Canada Day is a traditional holiday there are localized events happening in backyards all over the Eastern Townships of Quebec. The rain was off and on during the week so the fields were a bit soggy but that never stops a good party! Early morning at the Oddfellows hall on Knowton Road there was the popular pancake breakfast and the early risers filled the hall to enjoy the scrambled eggs, bacon and pancakes. Everyone grabbed maple leaf tattoos and flags and after a tasty breakfast we were all ready to head to the Park for the fun. The events are for the whole family with cake and ice cream, a kids bicycle parade, a piper, the 4-H club and more. Pony rides and sheepdog competitions are also held throughout the day. Most folks decided to bring folding chairs down to the park and settle under the tents and just enjoy the whole day while the Cedar Brook Farm held their petting zoo and the Silver Spurs played their wonderful tunes in the music tent. The Brome Squares did some high flying square dancing routines and there were games and contests for kids all day long. So many tourists travel to Quebec and the Eastern Townships because of the friendly laid back atmosphere and this Canada Day holiday was no different! Everyone was happy and glad to have...well...a day off! Any chance to celebrate the pride we have to be living in Canada is welcome and the visitors from Vermont, Ontario and other worldwide areas was a testament to the popularity of the recreation and relaxation potential of our small town! One of the highlights is the early settlers camp that is set up on the soccer pitch. The classic canvas tents and firepits are established just as they would have appeared in the early days of Quebec. 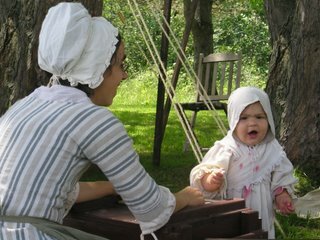 The group of rangers and their families were dressed in traditional clothing and throughout the day re-enacted different aspects of life and the history of the Eastern Townships. There were cooks and musicians and soldiers and teachers and all aspects of pioneer life were represented. It is always amazing to think of the hardships these pioneer Townshippers had to go through and when the call to fight was given the ragtag group of farmer soldiers headed out to battle against the enemy with their single load muskets! 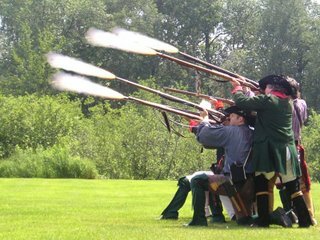 The rangers gathered their muskets and took to the field for some authentic drill maneuvers and the booming of the muskets really echoed throughout the grounds. It could have been the noise that spooked one of the sheep from the dog trials and there was a group of kids chasing the runaway sheep through the crowds! What a sight to see the sheep dogs with their noses down to the ground in hot persuit fo the rogue sheep and following the dogs a dozen or so laughing kids! The classic car show was also popular amongst young and old alike as the younger folk looked at the older cars with awe and you could sense they were wondering how fast the cars could go and how cool they would look behind the wheel! The older gents had a whistfull fog int their eyes as they thought back to the good old days when a car like a 57 Chevy on the streets of Knowlton was a common site! Ahhh those were the days! In the evening, under the threat of rain, was the fireworks display. Cars parked beside the Daycare on Victoria street beside the historical McKeen House and watched the show. From the fields the crowds could be heard ooing and awwing as the bursts of color exploded in the sky! The nightime shadows cast from the firework flashes turned the evening into a magical display and the kids just loved it! The rain began right after the fireworks and was just enough to cool things off after a full day of activities. 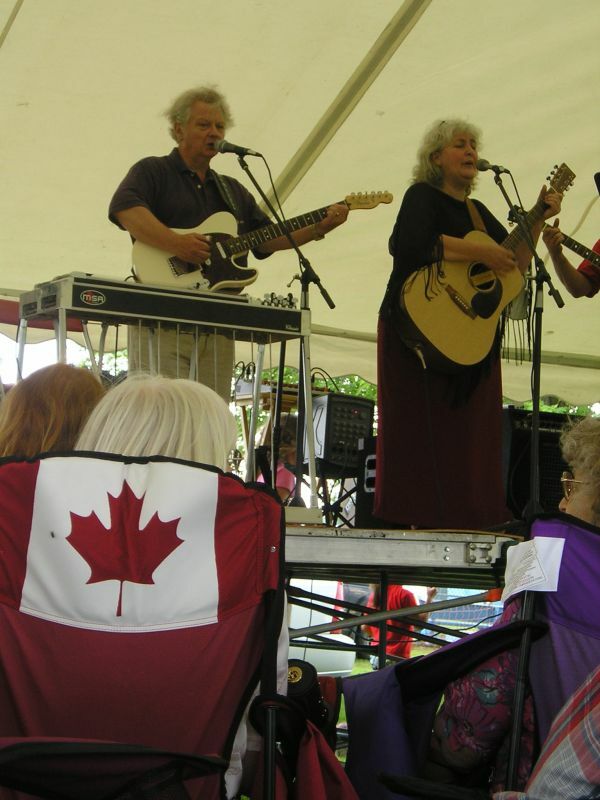 The Canada Day events were a huge delight again and we'll see everyone again next year!